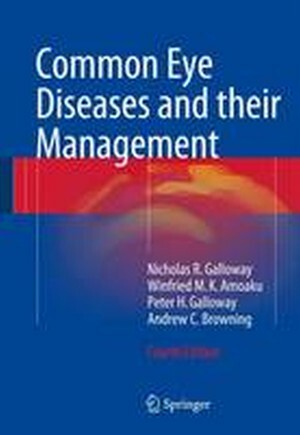 Since the last edition of this book, there have been a number of advances in the fields of glaucoma, corneal disease, medical retina and genetics. This new edition discusses these developments while also providing an introduction to the specialty of clinical ophthalmology for medical students, trainee ophthalmologists, optometrists, general practitioners, and anyone with a special interest in the subject. Each chapter contains a brief introduction and an outline of the anatomy of the eye and orbit, and utilises an "answering problems" format. Emphasis is placed on the efficacy of modern treatments in ophthalmology and brief historical information is provided where needed. Most chapters remain in the original format of keeping a dialogue to maintain interest rather than a purely didactic approach with bullet points. References are deliberately kept to a minimum and the chapters end with a concise summary to assist the reader with remembering the key points for each topic. Section 1. Introducing the Eye.- The Scope of Ophthalmology.- Basic Anatomy and Physiology of the Eye.- Examination of the Eye.- Section 2 Primary Eye care Problems.- Long Sight, Short Sight.- Common Disease of the Eyelids.- Common Diseases of the Conjunctiva and Cornea.- The Red Eye.- Failing Vision.- Headache.- Contact Lenses.- Section 3. Problems of the Eye Surgeon.- Cataract.- Glaucoma.- Retinal Detachment.- Squint.- Tumours of the Eye and Adnexae.- Ocular Trauma.- Section 4. Problems of the Medical Ophthalmologist.- Testing Visual Acuity.- The Inflamed Eye.- The Ageing Eye.- The Child's Eye.- Systemic Disease and the Eye.- Neuro-ophthalmology.- Genetics and the Eye.- Drugs and the Eye.- Section 5 Visual Handicap.- Blindness.- Further Reading.